« It’s NOT Helicopter Parenting! I’m so glad my 22-year-old son enjoyed his preschool years without either one of us worrying about lessons. Throughout most of history, parents have cared for their young child’s daily needs without thinking about lessons, curriculum, or meeting some sort of educational standard. But in recent years, “home preschool” has been growing in popularity – not just keeping a child home as I did, but using formal preschool curriculum and worrying about teaching subjects once reserved for kindergarten and first grade. What happened to make today’s parents think they need formal curriculum for their little ones? 1. Play based preschools transitioned to all-day care that included formal lessons. As more moms began working, preschools met a new need by offering all-day child care, and they began adding academic subjects to get children “prepared” for school. Parents were spending a lot of money on day care while they worked, and school readiness instruction probably seemed like a greater value than a program of supervised play. The government jumped on board too, as early learning was viewed as a possible solution to the problem of older kids doing poorly in the schools. Unfortunately, early education has not been the solution, but it has made some parents doubt their ability to teach their children more naturally. 2. “Educational toys” were marketed. Companies realized there was money to be made in the untapped preschool market. And so they created a need by encouraging parents to purchase “educational” toys. But we didn’t need that! The simple toys that have always delighted children (including empty cardboard boxes) were already educational! 3. 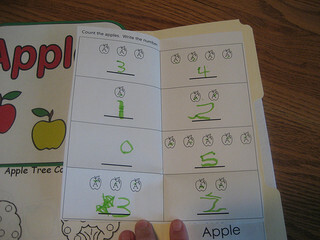 Preschool curriculum was created to increase sales. Homeschool curriculum companies knew many of their customers also had young children, so it was an easy way to increase their sales. They also found an eager market because parents didn’t want to be left out if they thought other children were learning this way. Marketing preschool curriculum is a way to make more money. It’s not based on what a young child needs! I encourage you to ignore the school readiness marketing aimed at preschoolers. Until a child is 5 or 6, all you need to do is be available, fun, adventurous, willing to read aloud, sing, and answer questions, and willing to sometimes sit back and let your children figure out their world without you directing the activity. Every child needs this. They don’t need workbooks or expensive toys that are labeled educational. They don’t need a formal preschool plan. This is not the time for school. Enjoy your life at home with a little one, with no lesson plans. If you don’t know where to begin in providing an enriched early childhood experience, there are books about preschoolers that can help you. They’ll show you examples of games and ways to play with little ones until you have the confidence to do it on your own. Use them as your great idea resource rather than something that must be rigidly followed every day. Make the most of these precious years when children naturally learn through play faster than any formal preschool curriculum could plan. Trying to do lessons wastes a toddler’s time and keeps him/her from discovering something more important. Get your young child off to a good start by reading picture books and playing outside instead of artificially studying a new letter each week (complete with signs, art projects and workbook sheets). He/she will grow up secure, curious, and ready for anything because this time honored way to raise a young child works! But what if. . . Ok, I know there are always exceptions. So, what if your preschooler is gifted? Or what if he asks for curriculum (not typical, but it can happen). Gifted preschoolers still need to play in the dirt, learn to sort laundry, listen to stories, and help Mom cook. There are many things they can experience that will help them when they are older. Please don’t be in a rush – he’ll only be little once and needs to play and spend time with you. If a child is passionate to learn something that most children his age are not ready to learn, well of course you should honor that! That’s respecting the child. But please let it come from the child. Written by Karen Taylor, posted on 17 February 2013 at 4:55 pm, and filed under Gifted, Preschool. Bookmark the permalink.